Worked on-site at Lloyds Banking Group (LBG), Halifax as the IT Project Manager assigned to manage the Wincor Nixdorf work stream (£5+ million) as part of the LBG Self-Service Software Replacement (SSSR) programme. This programme of change required the upgrade of the entire LBG ATM hardware estate to run Windows 7 (from XP) and to transfer the ATM driving responsibility away from BASE24 Classic on HP NonStop to Wincor’s ProClassic Enterprise (PC/E) on the AIX platform running Oracle. The project completion date is currently end of 2015 to fully implement all 3 phases. 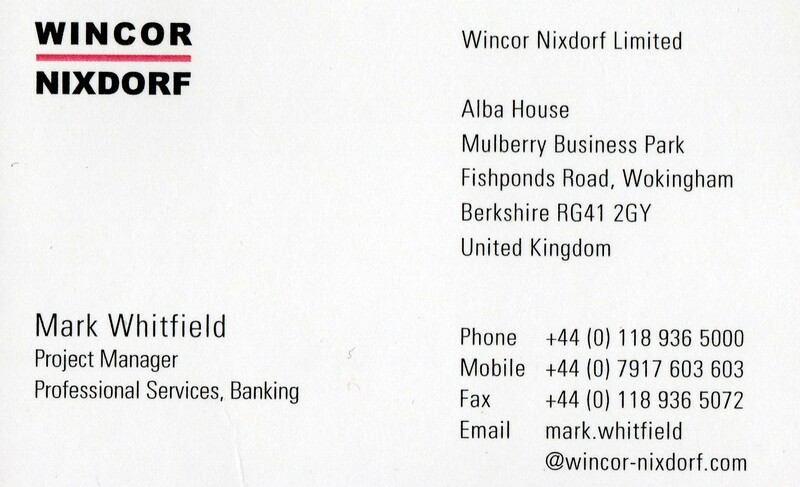 I received an award from Wincor Nixdorf in recognition of my achievements on this project.